Ad of the week: Gingervating! 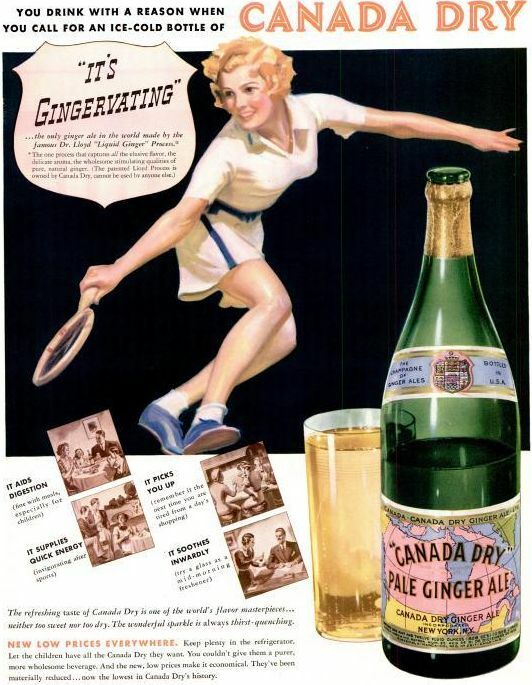 Love so much about this: the shape of the bottle, the design of the labels, the playful sexiness of the tennis player. 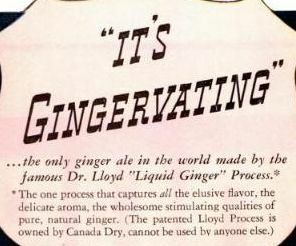 No, it’s not a booze ad, but since ginger ale’s so often a mixer, I don’t care. My favorite part? 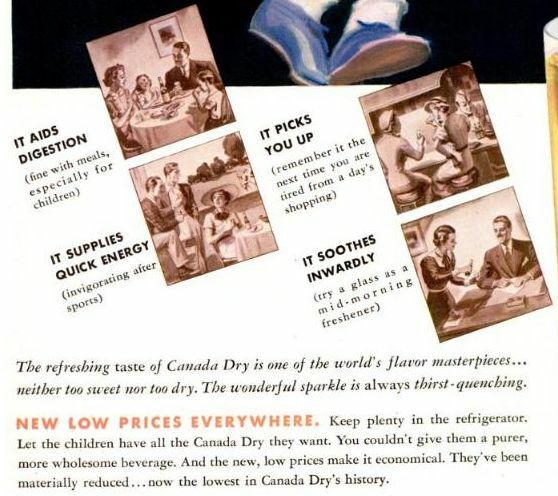 “Let the children have all they want….you couldn’t give them a purer, more wholesome beverage.” I’m sure the good food lobbyists would have a thing or two to say about that. And the tag line — “It’s Gingervating!” LOL. It’s a wonder that didn’t catch on, right?